Priests and priestesses all over Africa call upon the power of the gods to ensure the well-being of their people. Possession comes readily to priests,whose commitment to a deity over many years gives them this facility. 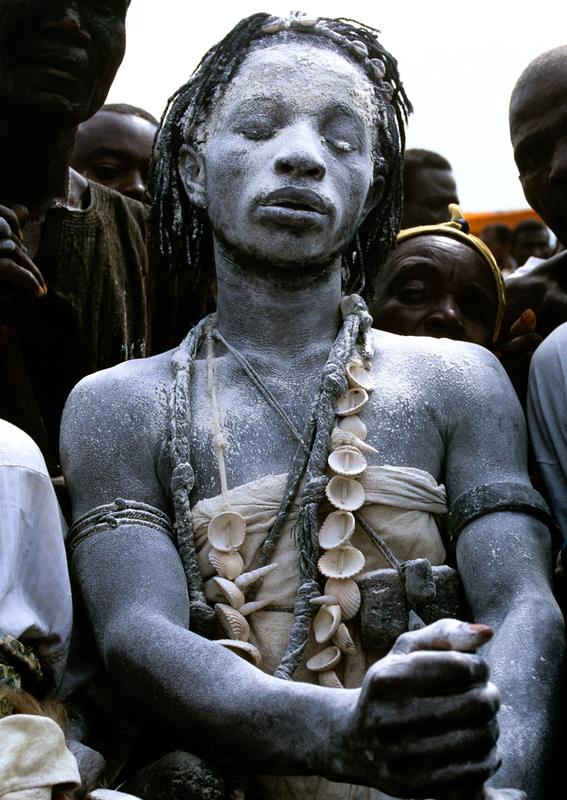 This Ashanti priest from Ghana has covered himself in kaolin powder, considered to be a âfood for the spirit.â Worshipers may give the powder as an offering or ingest it as medicine when prescribed by a priest.